1 pound of cleaned, deveined shelled large shrimp. 2 ½ tbsps of olive oil. 1 ½ tbsps of simply Asia sweet ginger garlic seasoning. Heat 1 tbsp of olive oil in a medium skillet. In a bowl, mix together the shrimp, 1 tbsp of olive oil and the sweet ginger garlic seasoning. Toss to coat. Sautée the shrimp in the hot skillet, once cooked turn opaque. Pour in wine to quickly buble and deglaze the skillet. While stirring, scrap the delicious brown bits on the bottom. Place the shrimp in a small bowl and cover to keep warm. Add ½ tbsp of olive oil to the skillet and toss in the spinach, constantly stirring until the leaves are wilted. 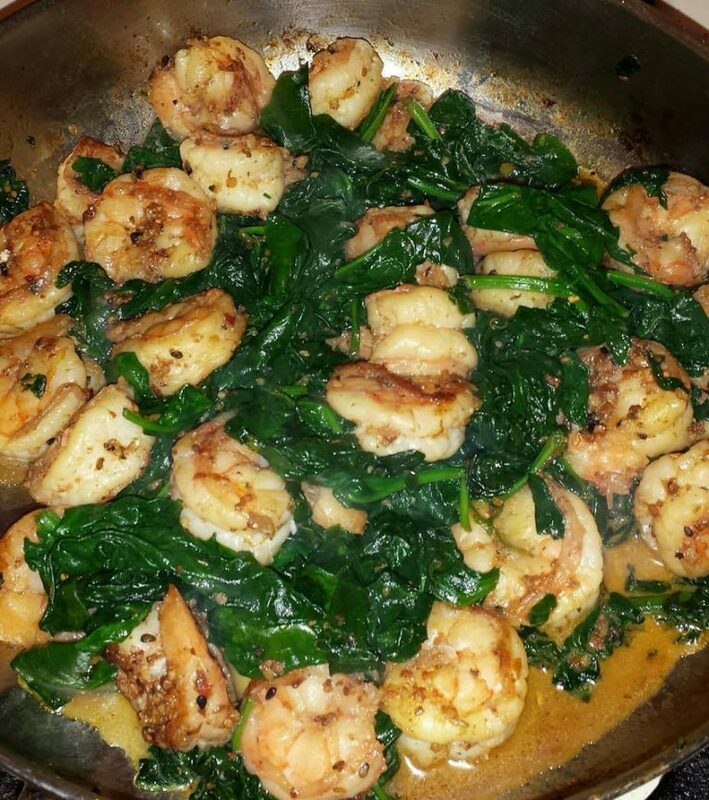 Fold the shrimp over the spinach and heat through.